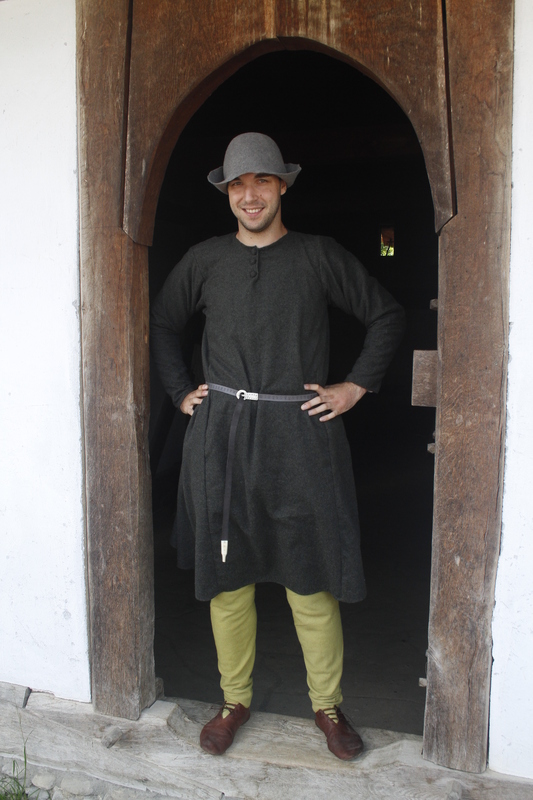 I already showed you some details about the man’s kyrtle in the first half of the 14th century already here and here. 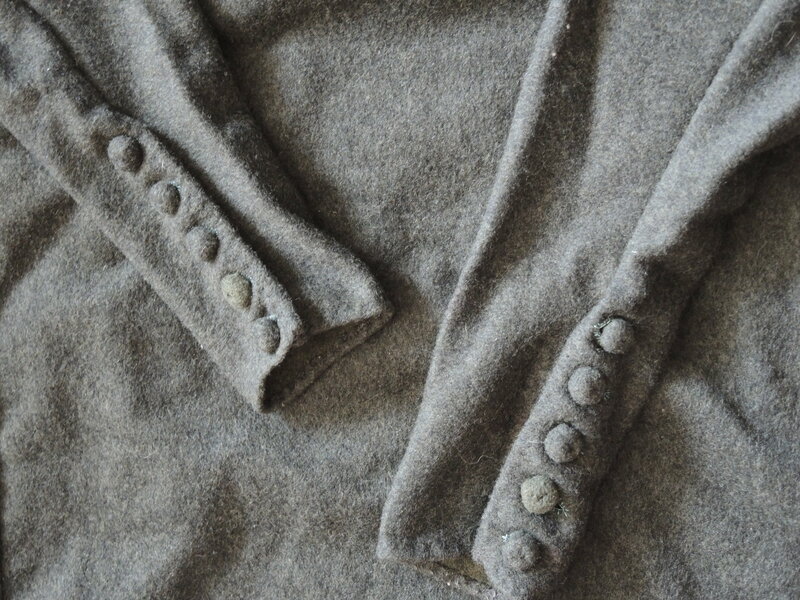 Now I have made another one for my husband’s outfit. The type of kyrtle is about the same for all depictions of simple men. 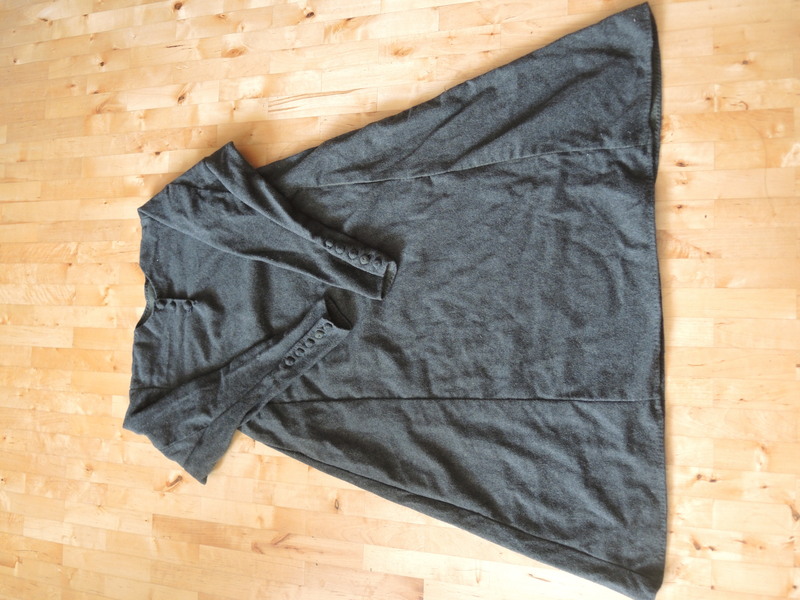 rather loose fitting, knee length in simple colours like brown, grey, red or light blue, often unbuttoned or with just a few buttons on the neck and wrist. For the pattern, I took the Bocksten Mann and the Herjolfsnes finds as an inspiration, but then decided to mix them up a bit and used 2 high side gores and no front and back gores to reach that loose fit as in the fresquoes of the Gurk Cathedral. 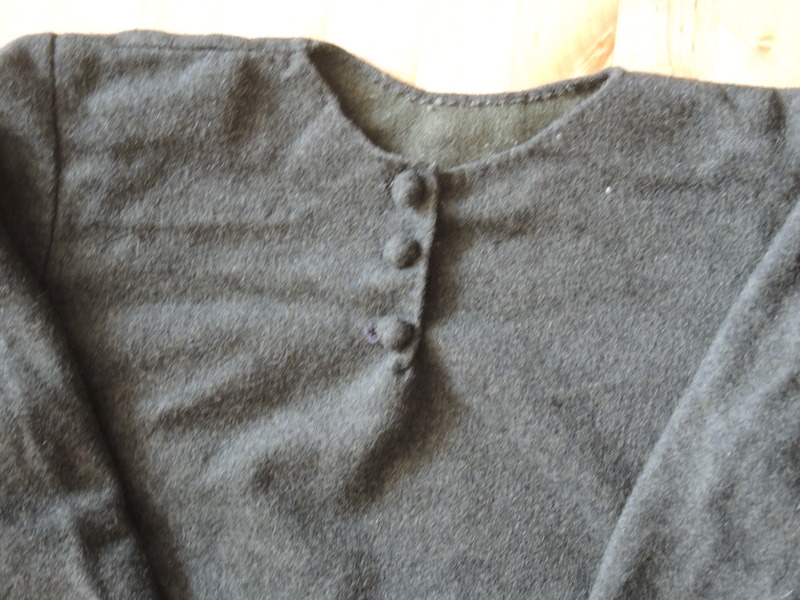 The garment is buttoned with 3 fabric buttons on the neck and 5 on each wrist, adressing the fashion of the time but hopefully not the flexibility for work. 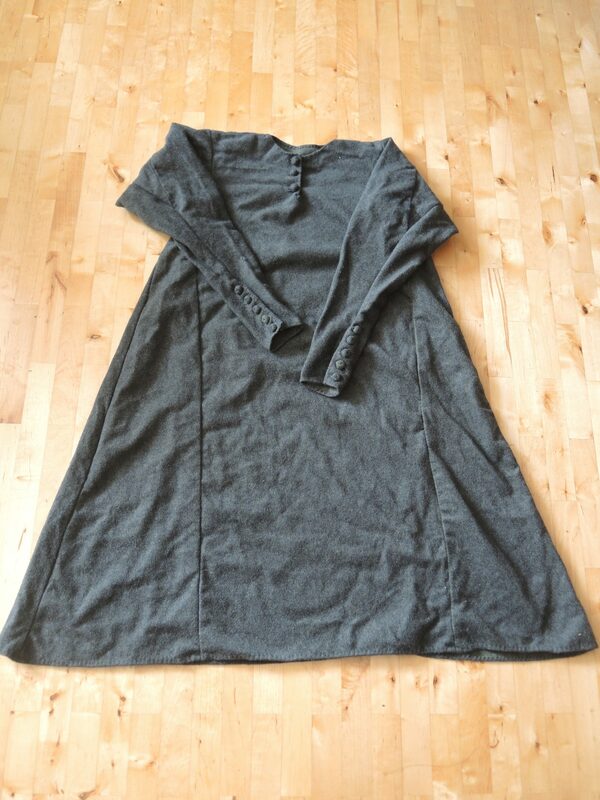 The material is grey woven and milled wool fabric, that needs no trimming on the inside since it won’t unravel.